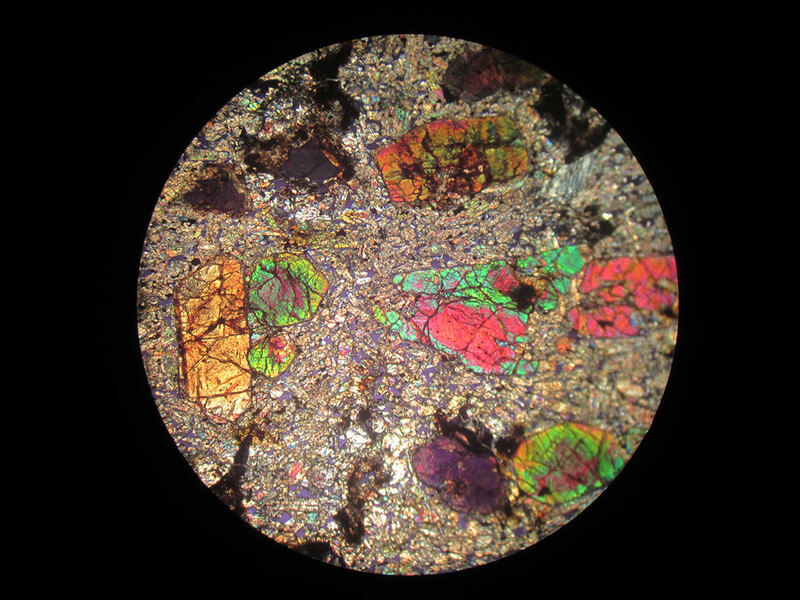 These glass microscope slide thin sections are made from stone meteorites that are ground and polished to a point where light easily passes through them (ideally about 30 microns). 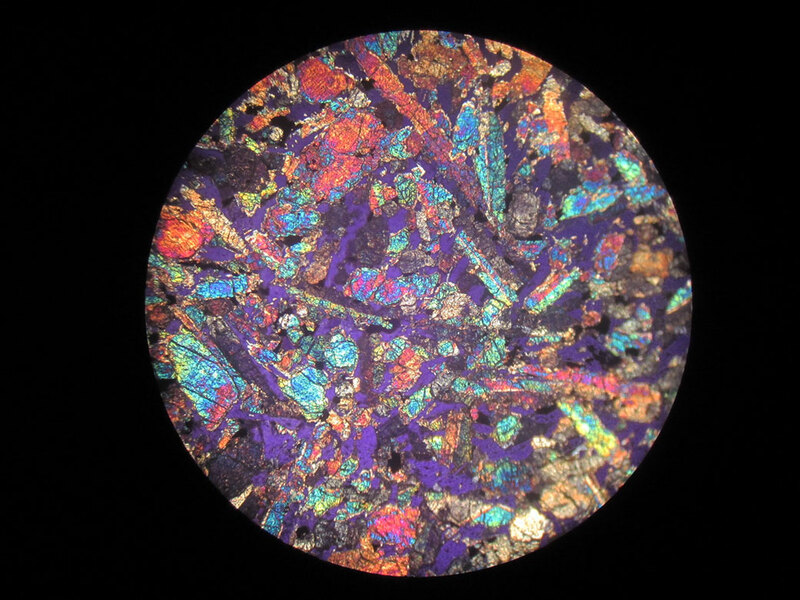 When viewed between two crossed polarizing filters, the different minerals can produce brilliant colors. 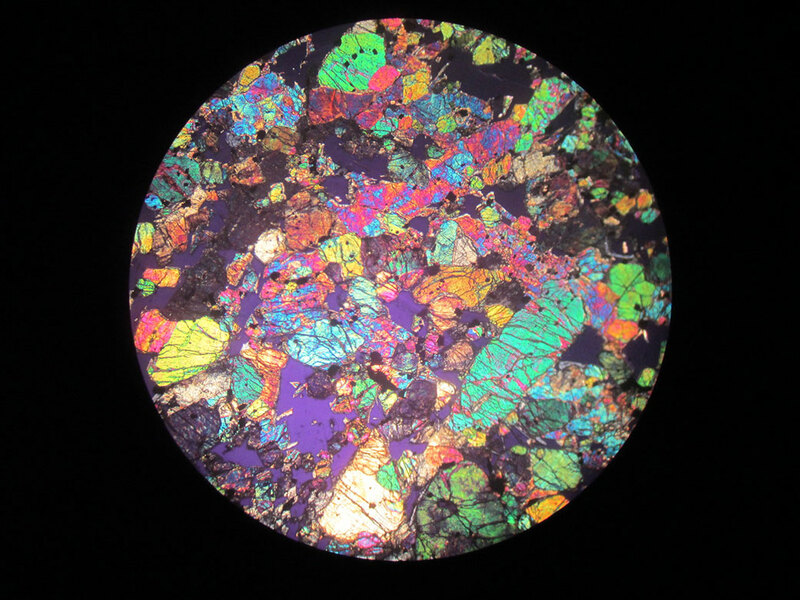 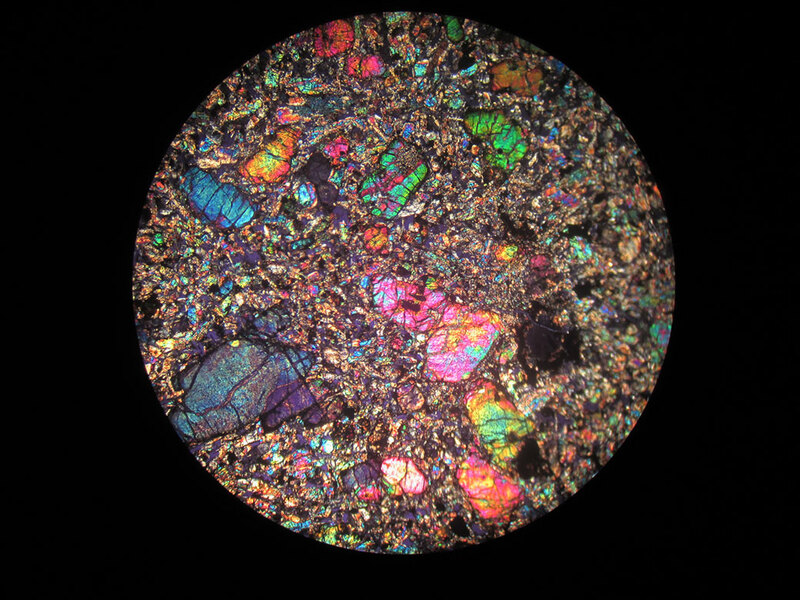 Thin sections are used to help identify the makeup and structure of meteorites.